I think that there’s no question but that the President was born in the United States. 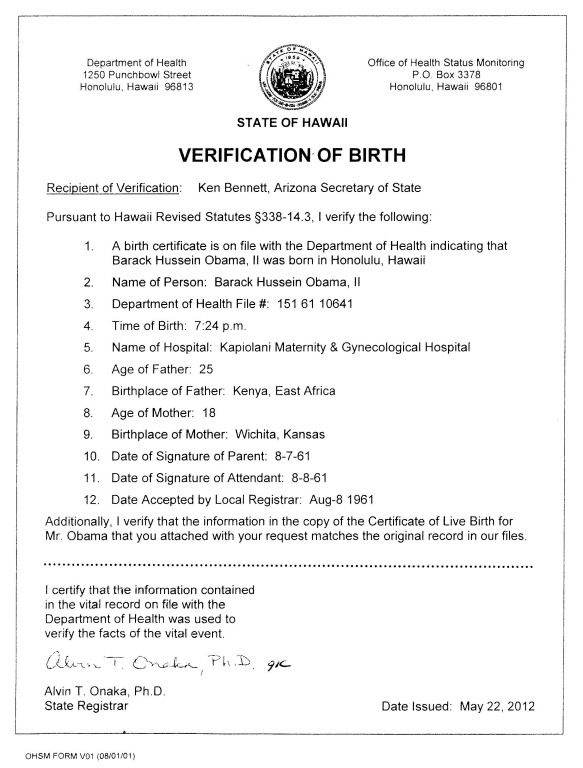 the evidence is pretty clear that President Obama was born in Hawaii and this whole election should not be about any of these side issues. There’s nothing that I’m aware of that says you have to have two American parents. My understanding of it is if you’re born in the United States, you’re a natural-born citizen, period. People, I just want to say, can’t we all just get along? The only question is whether the damage of the steady drip of spurious accusations and frivolous lawsuits outweighs the benefit when they are debunked and dismissed with prejudice. It’s time for this charade to stop. I’m here to tell you that those who think the President was born somewhere other than Hawaii are crazy. It’s crazy. It stokes the fires of extremism and passions of people that really is very unfair. So it’s up to us to try to steer things into a more rational behavior and thought. But this is still the greatest nation in the world. It’s still the best people in the world. It’s still the most innovative nation in the world. 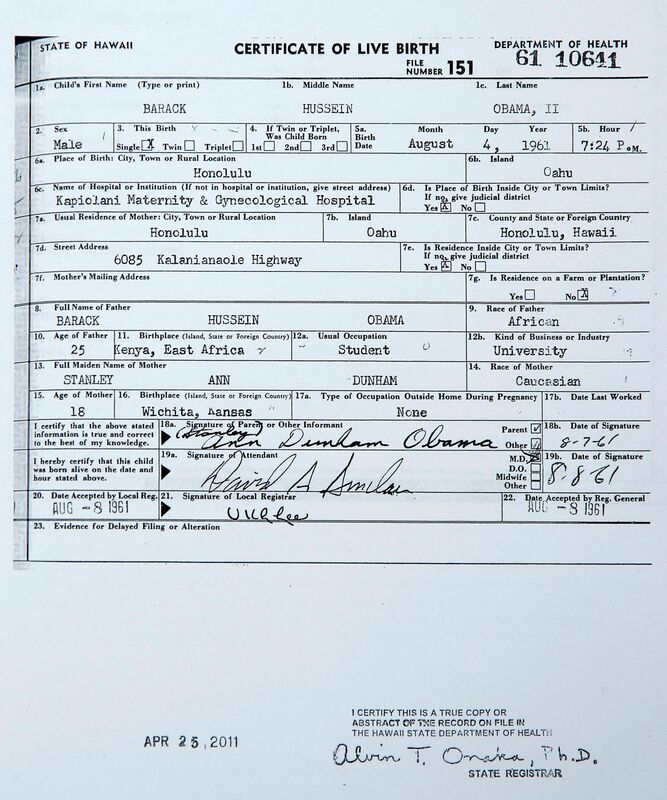 Of one thing we can be sure of after all the birther investigations of President Obama’s birth certificate: if Barack Obama’s birth certificate is a forgery, the forger is far and away smarter than any birther on the planet. Barack Obama’s real birth certificate is locked in a safe in Mitt Romney’s Swiss bank account, waiting to be sprung at the right moment. When you’re looking at truth versus gossip, truth doesn’t stand a chance. 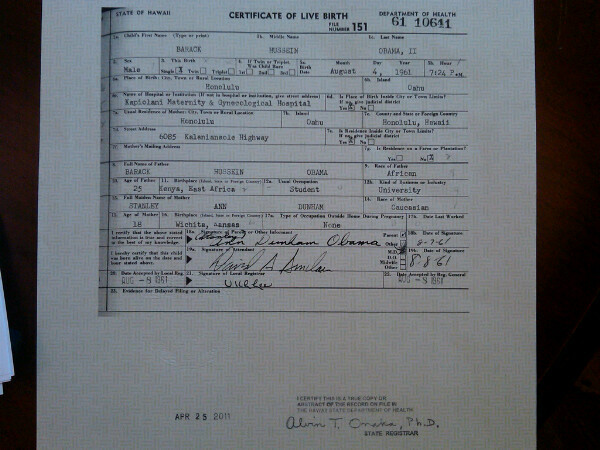 I’d advise Mitt to release 10 years of tax returns when Obama releases 10 years of birth certificates. This country doesn’t need a Commander-in-Chief. Judging from the comments here, this country needs a Therapist-in-Chief. Obama was born in another country. He was born in Knott County Kentucky. 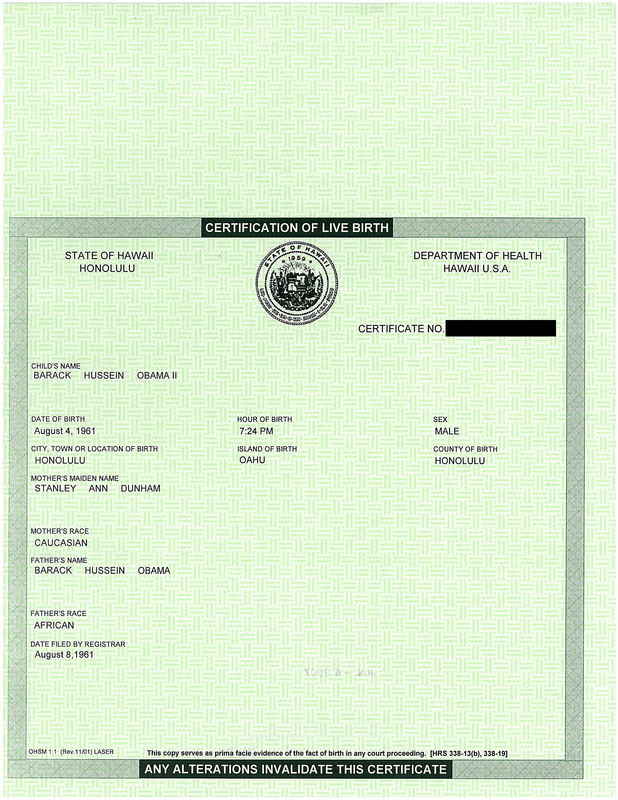 I demand to see Invisible Obama’s invisible birth certificate. 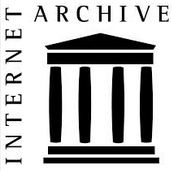 … democracy does not have be a blood sport; it can be an honorable enterprise that advances the public interest. Some think that where there’s smoke, there’s fire, but in this case it’s just a birther lighting his flatus. I never doubted this from the get go, even in 2008 I knew it by revelation from God that OBAMA IS A COUNTERFEIT! Obama is of his father Satan. I didn’t know Kris Kobach was on the [Kansas] Board. I didn’t recognize him without his white hood and robe. … in fact, the paranoid mentality is far more coherent than the real world, since it leaves no room for mistakes, failures, or ambiguities. COMMUNISTICS is carried on the Y Chromosome. IT’s a FACT. And IF the female body senses COMMUNIST DNA, it has ways to try to shut that whole thing down.